Once a common sight in many parts of Malaysia, the three-wheelers, known locally as trishaws, were largely phased out as cars became more affordable and took over the country’s roads. They have adapted to the modern era in a bid to appeal to tourists, adding figures of cartoon characters such as Hello Kitty and Pokemon’s Pikachu and blinking fairy lights that are turned on at night. 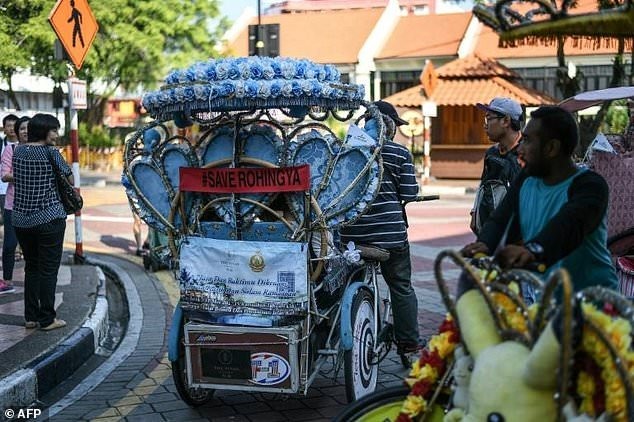 "Malacca’s trishaws are unique for their decorations -- other trishaws, they don’t come close," said driver Mohamad Isa Mursidi, whose three-wheeled steed was decorated with Hello Kitty dolls and a bouquet of plastic flowers in a heart-shaped frame. A 30-minute ride on a selected route around some of the city’s historic buildings costs around 25 ringgit (US$6). "It gives a romantic feeling to the heart at night," said local tourist Ganapathy Kuppusamy. Malacca, on peninsular Malaysia’s southwest cost, has a history dating back to around the 15th century. With a strategic location on the Straits of Malacca, it became a wealthy entrepot and attracted traders from around the world.